Recently we are having Asian (mainly South East and East) overdose in the cinema houses, starting with Skyscraper being setup in Hong Kong, followed by The Meg taking us through Thailand and China, and now with “Crazy Rich Asians” the Asian experience reaches its maximum and lands us in Singapore, in the most spectacular way possible. Crazy Rich Asians is a 2018 American romantic comedy-drama film based on Kevin Kwan's novel of the same name. 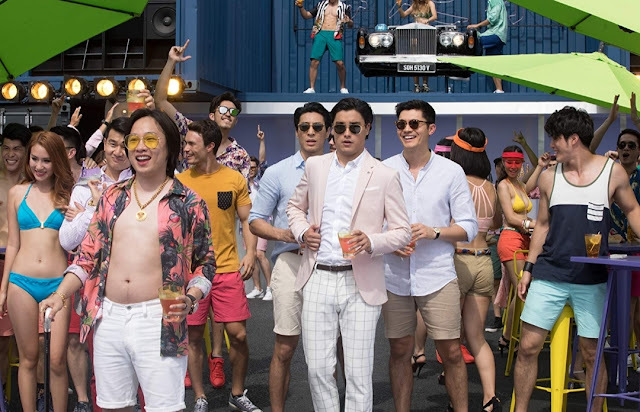 It is the first film by a major Hollywood studio in 25 years to feature Asian-Americans in the predominant leading roles in fact you don’t have any other race in this film but Asians. Story line is not very complicated, and you might have seen it multiple times before. Narrative touches the usual points like difference between Eastern and Western Values along with the class difference (Rich vs Poor). But the way story is presented is new especially for an audience like me who has no exposure to world of Rich Singaporeans. Screenplay/Script has perfect balance of humor and romance. There are moments when you just laugh out loud and then there are moment of sheer romance. I don’t want to spoil the film, so I will not say much but I have many favorite moments from the movie. On the negative side narrative does slow down slightly in the middle act but then picks up towards the end. A simple storyline with not very complex characters like this, requires creative direction and elaborate visual presentation. 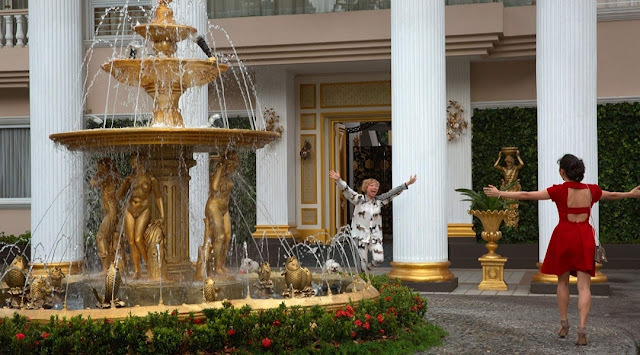 It is required to engage audience from not only what happens next but what’s happening right now on-screen perspective and Jon M. Chu gets that part perfectly right. Every aspect and part has been presented appropriately whether it’s a big enormous bachelor party organized for the richest bachelor of Singapore or a simple dim sim folding family tradition where whole family prepares dim sim while sitting on a dining table. Performance of the principal cast is convincing, but I will be honest It does require getting use to, from the appearance of the cast perspective especially for someone like me who has very little exposure to South East Asian cinema, culture and people but that should not stop one from going to cinema. Once the movie starts richness of culture, humor and romance will take over and you will not notice any difference. 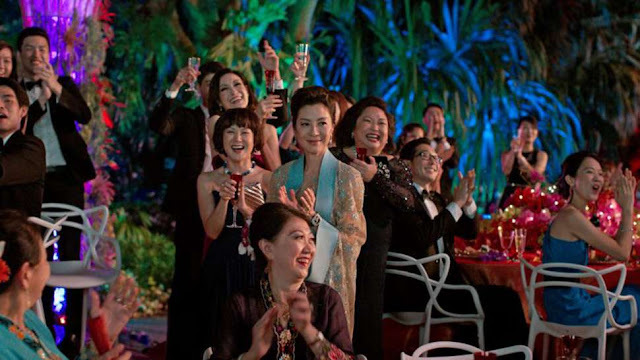 I also enjoyed the way Singapore was presented in the film, the food street, the magnanimous modern landscape and the green streets all made me look at the holiday packages to Singapore right after the film. As the title rightly suggests, this film does provide you the Crazy Rich Asian experience in the perfect blend of humor and romance. A perfect romantic comedy, I go with 3.5 stars. I would like to thank Warner Bros ME and Shooting Stars for the Dubai premiere invites and making this review possible.